With regard to ultrasonic transducers, ultrasonic transmitting and receiving circuits are devices for converting electrical energy and acoustic energy. 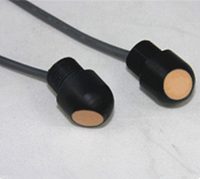 Generally, the ultrasonic transducer has low electromechanical energy efficiency, which seriously affects the working distance of the ultrasonic transducer. In order to solve this problem, it is not enough to consider only improving the mechanical structure and acoustic characteristics of the transducer. It is also necessary to optimize the design of the transmitting and receiving circuits of the transducer to improve the effective transmitting power of the ultrasonic generator and the ultrasonic receiver. Signal to noise ratio. The design of the ultrasonic transmitting circuit is composed of an ultrasonic transmitting circuit and an ultrasonic transducer. Ultrasonic transmitting circuits (also called driving power sources) can be classified into two types: oscillation-amplification type and inverter type according to their working principles. 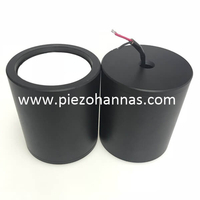 For ultrasonic transducers with medium and small power and low frequency generally use an oscillating-amplified driving power supply, and use its excitation oscillator to adjust the operating frequency of the transducer over a wide frequency range. The various components of the drive power supply are described below. 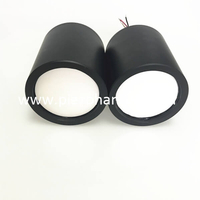 The working principle of the push-pull converter is that a large number of ultrasonic distance measurement sensors are used to drive the power supply, and the power amplification stage is composed of a MOS tube push-pull converter. The push-pull converter uses a pulse transformer with a center tap as the output stage to increase the output voltage amplitude of the drive circuit, thereby increasing the transmit power of the transducer. The characteristic of the circuit is that when there is no excitation signal (the strobe signal is low level), the quiescent current of the two MOS power tubes is zero; when there is signal excitation, the two MOS tubes work alternately, and the output half-wave signals are combined. Form a complete waveform. In the circuit, the integrated chip is a dual-channel TTL/MOS interface circuit (double NAND gate) for level shifting to control the drain current of the MOS transistor; R:ultrasonic air speed sensor is a current limiting resistor for limiting MOS maximum drain current of the tube to avoid excessive transient current surge of the MOS tube; XRC is a branch composed of a capacitor and a resistor for prohibiting the passage of a DC voltage to prevent the MOS transistor from being always on, and at the same time Rc constitutes a voltage dividing circuit to determine the magnitude of the MOSFET gate-drain voltage Vcs and the duty cycle is coefficient Dmax of the MOS tube square wave output signal. The external bias current resistance is 100-200 kSz. 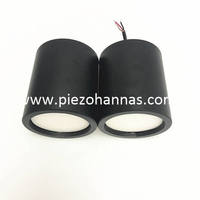 The ultrasonic sensor has a working distance of 30 m and a resonant frequency of 30 kHz. The peak-to-peak value of the output voltage of the driving power source is less than 400 Vpp. This topic requires that the ultrasonic sensor's working distance is greater than 30m, and the circuit design is designed according to the analogy method. In order to make the ultrasonic sensor's working distance greater than 30m, the resonant frequency should be lower than 30kHz (set to 24.5 kHz), In the MOS tube push-pull converter, whether it is MOS tube or MOS tube Q: conduction, the common source circuit model indicates that N is the transformer ratio and R is the equivalent load of the transformer. Since the transformer cannot meet the three conditions of the ideal transformer, it is more realistic to study the energy transfer problem of the push-pull converter with the full-fault transformer model. When the input voltage of the MOS transistor Vcs = Vc - vs is greater than its turn-on voltage, and the channel of the MOS transistor is pinched off, Vns rises, the drain of the MOS transistor v, and the full-coupled transformer model current tends to be saturated. Entering the constant current region, it hardly changes with the change of vDS, and its output impedance is a large value. The output load of the circuit is only determined by coL, N Z . Therefore, the load impedance R of the MOS transistor QI or Q. Assuming that the maximum source voltage of the MOS transistor is Vcs and the maximum operating current ID is constant, then considering the converter output power and tube consumption,transducer distance sensor circuit is selecting the appropriate pulse transformer ratio N, pass through the MOS tube curve varistor region and At the junction point of the constant current region, the optimal load curve AB can be obtained because when the intersection of the load line and the ID-VD' curve is located to the right of the boundary point B between the variable resistance region and the constant current region, such as the AC line, The impedance rDs between the drain and the source of the MOS power transistor (depending on the slope of the linear OC, kDSC and the tube voltage drop will increase, thereby increasing the power consumption of the MOS transistor and reducing the output power of the converter; When the load line is below the AB line, such as the AD line, since the operating point D is not in the constant current region, the output impedance rn of the MOS transistor is variable, and the MOS transistor does not constitute a current source controlled by Vcs. The conversion efficiency of the push-pull converter is still taken as an example of a ultrasonic proximity sensors with no impedance matching. The energy conversion efficiency of the converter is derived. It can be considered that in one cycle T of the input signal, Q; and Q2 are each turned on DmX T/ 2Dmax is the duty cycle of the converter input signal), and the current ID through the two MOS tubes and the voltage YDS across the power tube are numerically equal. Therefore, you only need to calculate the power consumption of a single tube and multiply it by 2 to find the total tube consumption. When the input signal of the MOS transistor is approximately square wave, and the drain current of the MOS transistor reaches the maximum value to, the total tube consumption type T is the period of the input square wave signal. 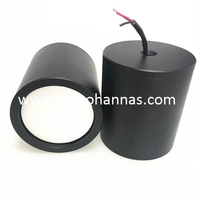 The power supplied by the DC power supply should include the power obtained by the load and the power consumption of the two MOSFETs and the power dissipation on the current limiting resistor. From the perspective of power utilization, if RSIRP, Vop (both related to the ratio) and the duty cycle coefficient Dmax of the input signal are smaller, and the efficiency transformer is higher, The efficiency of push-pull transformation is higher, and the physical meaning is the same. Class B amplifiers (push-pull amplifiers) are generally considered to have an efficiency of 70-80, which is roughly consistent with the calculated results. Therefore, the conversion efficiency formula of the push-pull converter deduced is correct.